Information collected on AML compliance page is used strictly to comply with U.S.A. Patriot Act/AML Program is only required for a single transaction that exceeds $7,000 or $10,000 cumulative in any 3 month period. Sensitive information collected on this page is processed on our secured server with encrypted connection to the server. Should you have other questions or concerns about these privacy policies, please call us toll free at 800-882-7729. 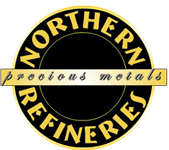 Copyright © 2019 Northern Refineries. All Rights Reserved.